Are you interested in the way that we think? The way that we feel? Or even the way that we behave? If so, Psychology is the course for you. he is fascinating! In Unit 1 students will consider the biological basis of behaviour, studying the brain and other parts of our nervous system in order to understand how our thoughts, feelings and the way that we behave are influenced by these things. They will consider the impact of drugs and exercise on these and how they alter the processes in our brains. Students will be introduced to the concept of intelligence and consider the differences between individuals asking the question ‘why do some see things differently to others?’ They will have the opportunity to consider our interactions with others, including changes in friendships and social behaviour over time and how attraction works. They will also have the opportunity to reflect on their communication skills and develop better understanding of effective communication. Skills will also be gained in scientific research and analysis. I used to be indecisive. Now I'm not sure. How good are you at making decisions and what might it say about you? In Unit 2 students will have the opportunity to explore the different facets of personality and how they can be measured. They will develop an understanding of different approaches within the field of psychology and how they attempt to explain how we think, feel and act. Students will also have the opportunity to explore how we develop as individuals and the role of others in this, studying the role of nature and nurture in who we are. Our role in society and our interactions with others will also be looked at, considering how our behaviour is influenced by the presence of others and how attitudes are formed. Students will apply their knowledge to pop culture and their peers through scientific investigations. 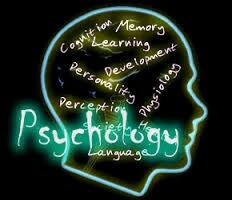 Additional information about this course – The study of psychology is highly relevant to further studies in the health professions, education, human resources, social sciences, sales, media and marketing and management as well as the direct professions of: counsellor, sports psychologist, therapist, clinical psychologist, forensic psychologist, criminologist, rehabilitation therapist, psychiatric nursing, military psychologist and organisational psychologist.